HI70024P Calibration Solution Salinity 35.00 ppt for the HI98319 Salinity Tester in Seawater. Bags contain 20ml calibration fluid. The box contains 25 bags. 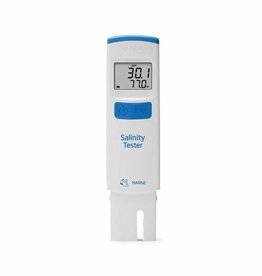 The HI98319 Marine Salinity Tester is a digital salinity tester specially designed for saltwater aquariums.